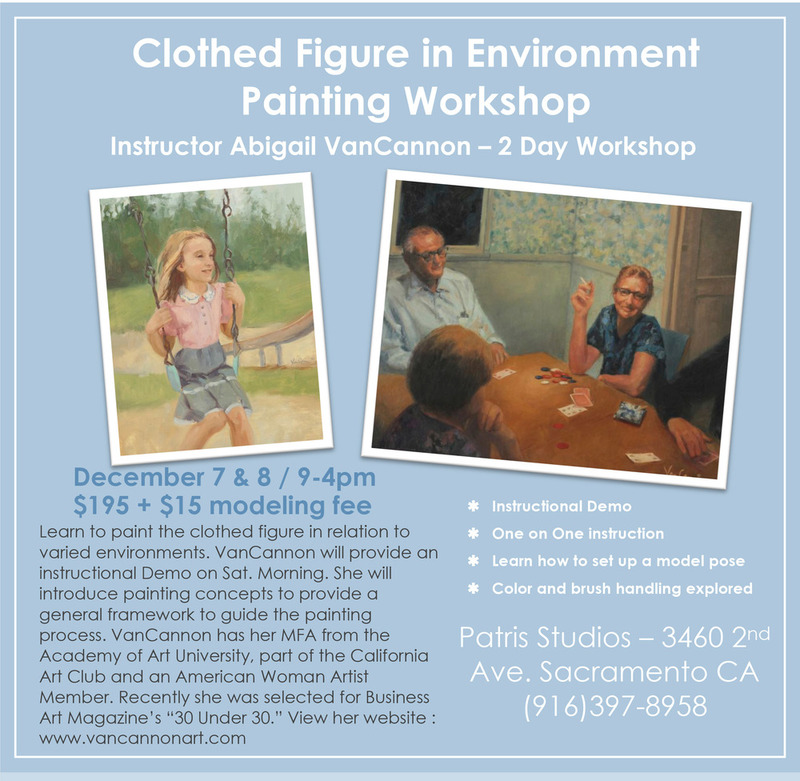 Join me for a 2 day workshop - How to paint the figure in environment. Saturday morning's instructional demo will highlight my approach to painting the figure while considering the environment. We will also discuss how to set a stage for your compositions and applying that to your paintings. This workshop features: one on one instruction, setting up a model, composition, color and brushwork explored. Other Supplies: Three Canvas ( 14x18 - 16-20), variety of brushes and sizes, medium (I like linseed oil), odorless turpenoid, paper towels, palette knife, sketch pad, pencil or charcoal.